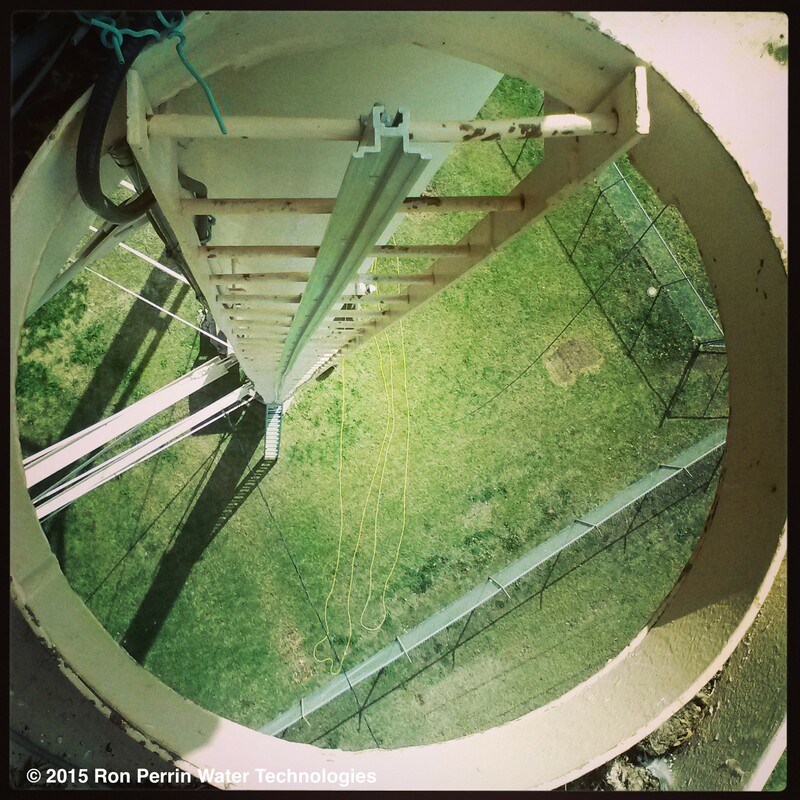 Cleaning these tanks and towers is important and often overlooked. 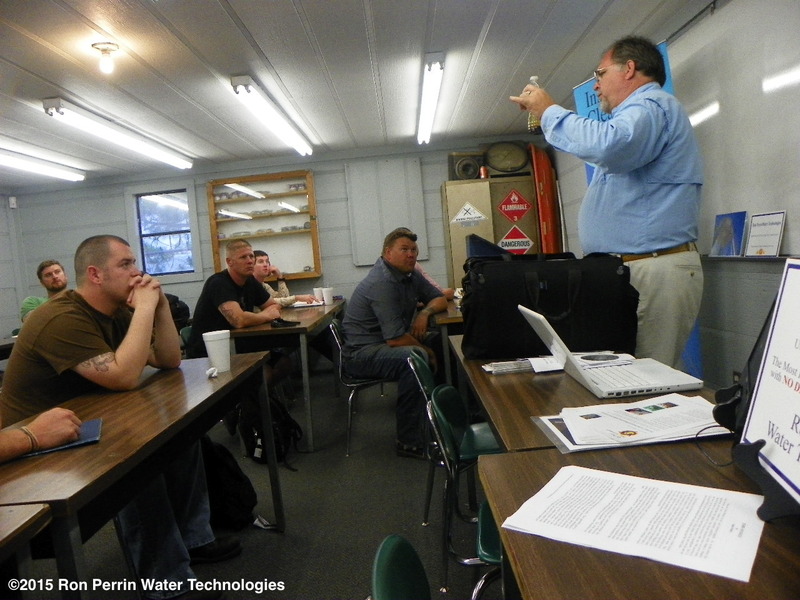 The photo below is from a July 2007 cleaning of a potable water storage tank. 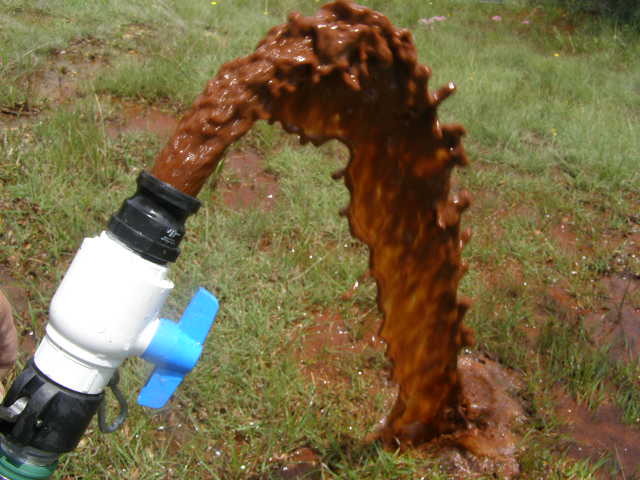 This is public drinking water that goes straight to the tap. With all of the other problems water utility directors face day to day thinking about having the floor of their storage tanks cleaned is often overlooked. In addition in the past it has been a major disruption to water service. The tanks would normally need to be taken out of service drained and then cleaned. Buckets and shovels have often been the primary tools. 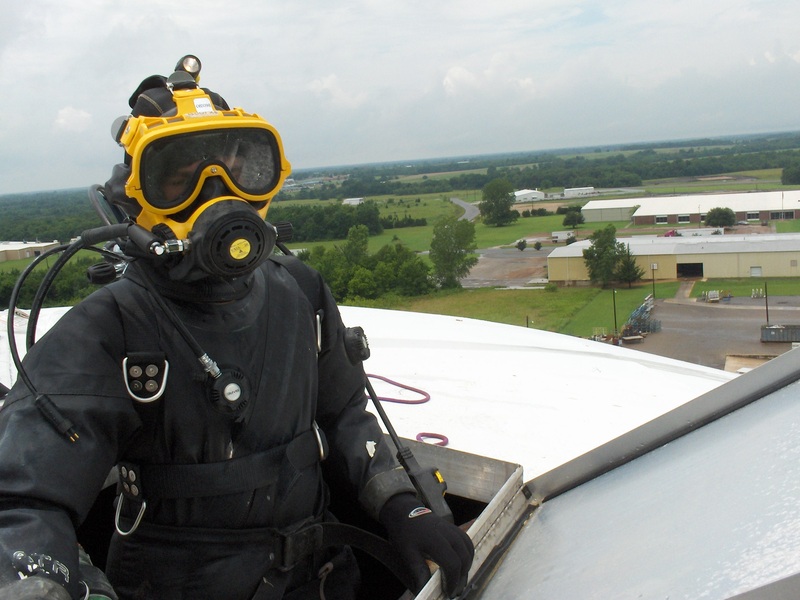 Today, potable water dive crews can enter the water system wearing a dry suit that keeps the diver in his own environment away from the water. They are able to vacuum the floor of the tank clean removing sediment that may contain or become a future breeding ground for harmful bacteria. 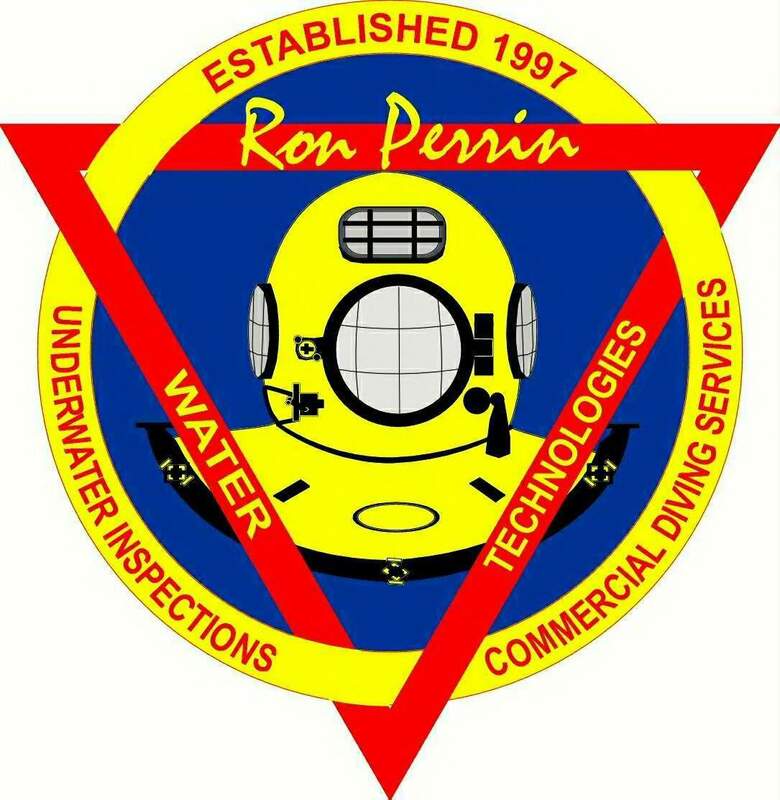 See www.ronperrin.com for more information. 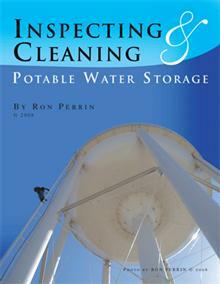 I was wondering what a inspection on a 12k gallon potable water tank runs? Tank size mesured in gallons -12,000 500,000, One million ect. 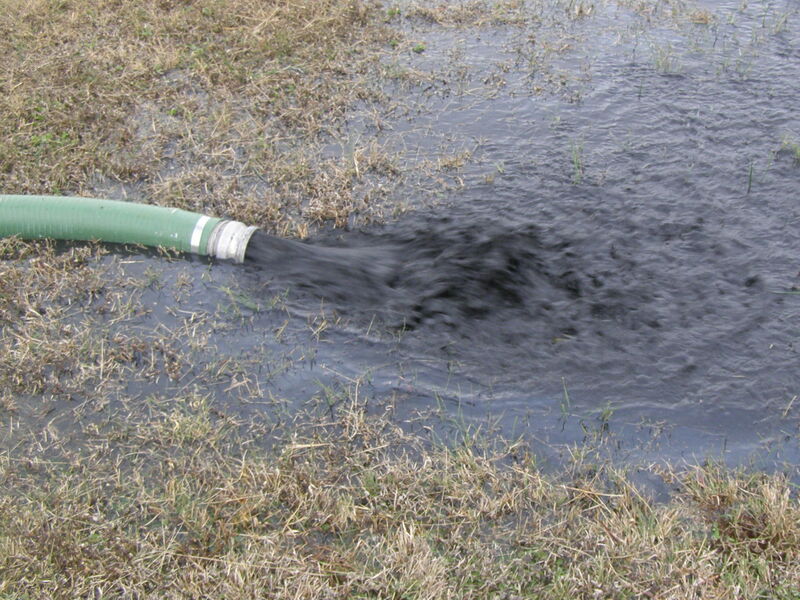 We currently service Texas, Midwest, Southeast and Southwest states. See http://www.ronperrin.com for more details.